In addition to the open paint, we will be doing a hands-on workshop from 10am to noon on making cards from your 4×6 artwork. This workshop will demonstrate a variety of ways of taking your 4×6 artwork – either an original or a print – and then turning that into a greeting card. If you want to make your own cards out of your own 4×6 artwork there would be a charge for the supplies, based on the actual cost of the items. It ranges from 30 cents to $1 per card. 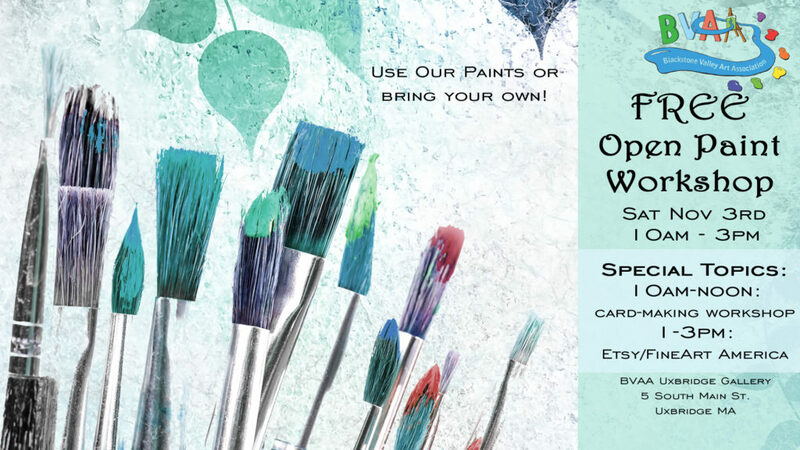 The second half of our Saturday will be about how to use Etsy and Fine Art America to sell your artwork online. If you bring a laptop or tablet we can help you set up your account. We have wireless internet available. Otherwise you can take notes to then go home and do this at your home. 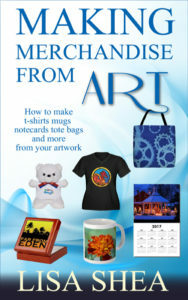 Both Etsy and FineArtAmerica.com are great ways to reach a world-wide audience with your artwork.